In my last article, Essential Content Marketing Tools, Part 2, I explained how to find, save and share content to your social media profiles using a number of useful tools such as HootSuite and its browser extension, Evernote and the Evernote Web Clipper, and news readers like Zite and Feedly. While the others allow you to find and save content, HootSuite lets you schedule updates to multiple social media profiles at once, from a single interface. If you’re managing more than one, believe me, you’ll soon grow weary of logging into separate accounts every time you want to share an article. 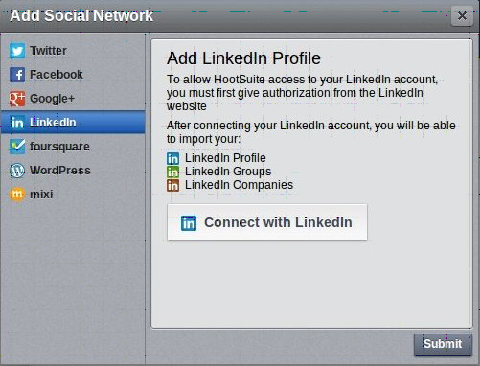 Setting up HootSuite takes a little work, but it’s well worth the effort. Each profile works a bit differently, so here’s Your Comprehensive Guide to Setting Up HootSuite for Content Marketing Success. 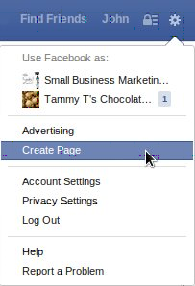 Once you do, you have the option of adding your business Page(s) and any Groups you belong to. 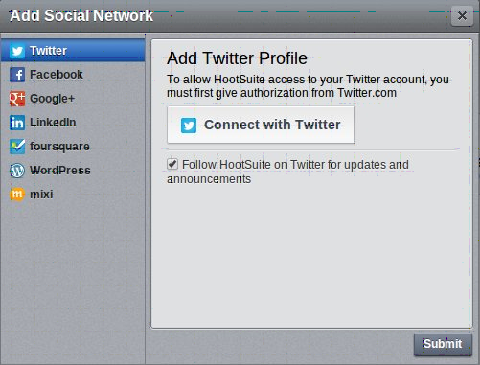 Connecting HootSuite to a Twitter account is much simpler due to the fact that Twitter does not have separate personal and business accounts. The only decision you must make is whether to create a Twitter account under your personal name or your business name. 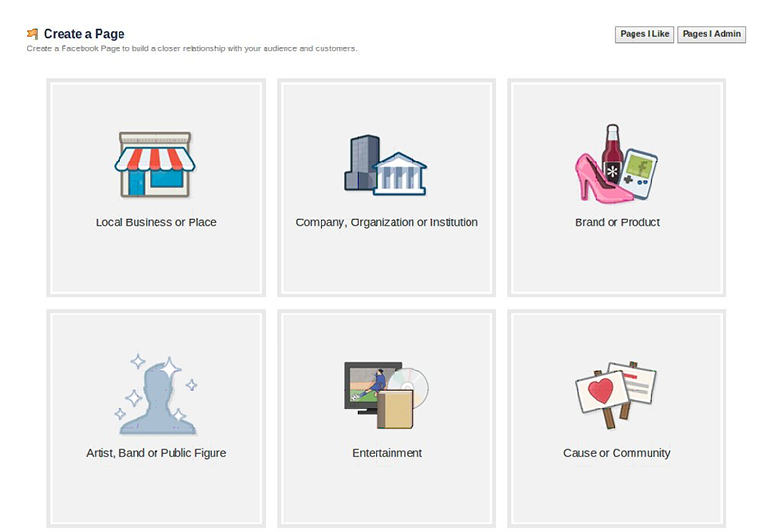 Like Facebook, Google+ has both personal profiles and business Pages. 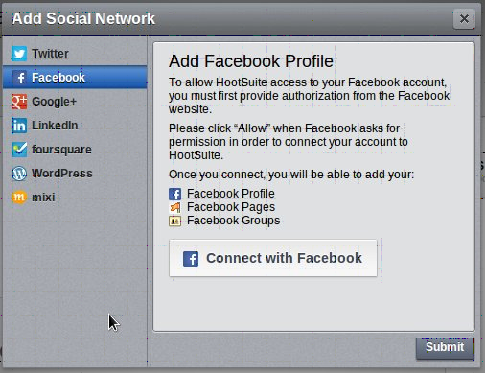 However, you won’t be able to post to your personal profile using HootSuite. 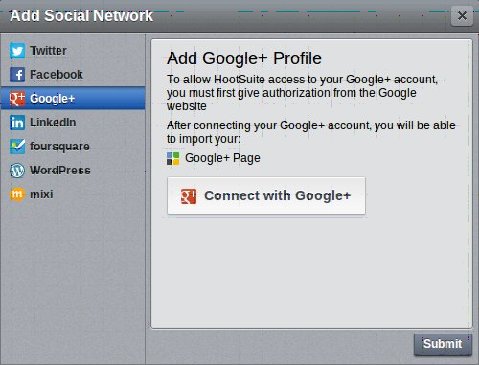 Currently, Google’s API only allows third party applications such as HootSuite to connect and post to Pages. 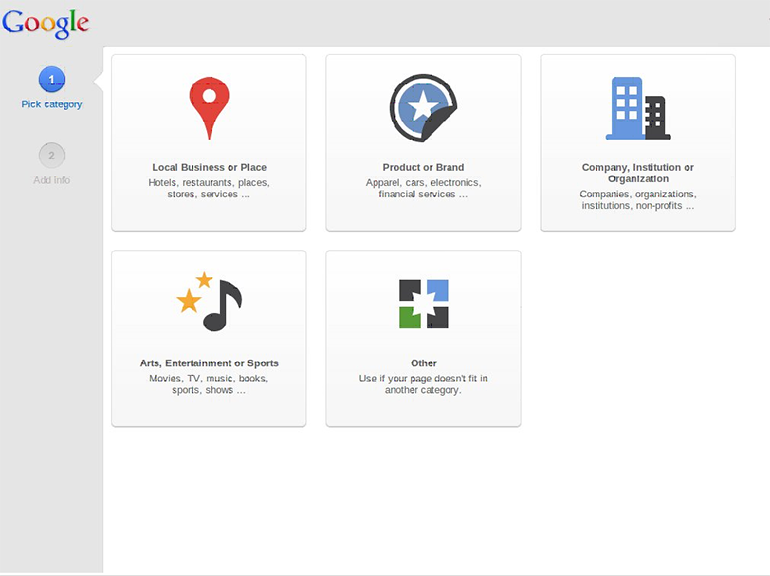 Assuming that’s not a deal-breaker, go here to create a Google+ business Page. If you aren’t logged into a Google account, you’ll be prompted to sign in or create one. While LinkedIn has both personal accounts and company pages, its real power lies in Groups. As a business owner, you can create a company profile, but you can only interact with members as an individual. While companies can’t connect with members or join Groups, they can benefit from starting or sponsoring one. But as an individual, participating in Groups is where you’ll connect with others on LinkedIn. I’m not a huge fan of HootSuite’s interface, but it gets the job done. Organizing yourself is crucial if you’re managing more than a single profile. 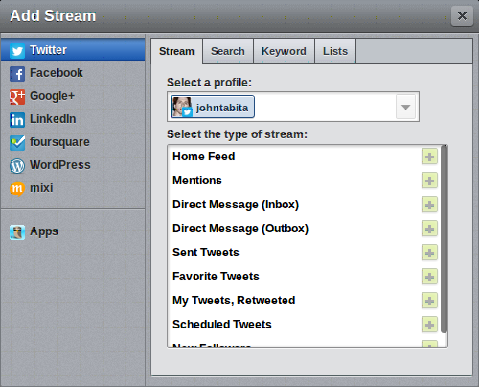 HootSuite lets you set up Tabs, then add “Streams” (i.e., columns) within each Tab. You can also add Newsfeed, Private/Direct Messages, etc. But I tend to place these at the extreme right to keep them out of the way. As I said in Essential Content Marketing Tools, Part 1, even if you’re only using one social media profile, you should still use HootSuite. Why? Because despite our socially-connected world, many websites are sadly lacking the social share buttons that allow you to tweet or share the page. HootSuite’s browser extension allows you to easily share or schedule any article when you find it, with a simple right-click—without even being on your HootSuite dashboard. Content marketing is an effective means to build your business, but it can easily become a full-time job. So work smart, not hard. Asking the right questions put you back in control of the meeting. If you haven’t picked up my free guide, 27.5 Must-Ask Questions for Consultative Selling, just follow me on Twitter and I’ll send you the link.